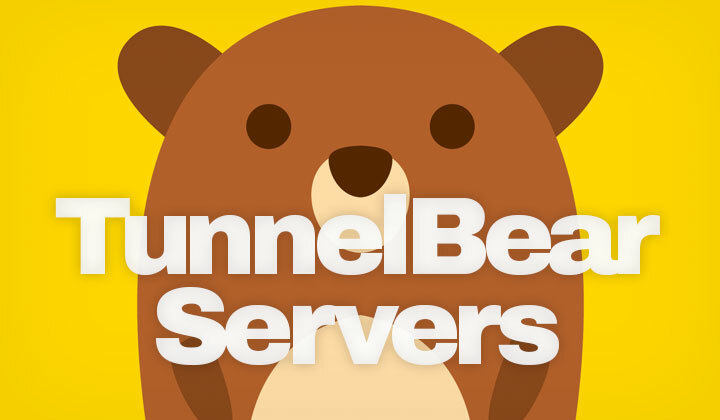 Are you looking for the complete countries list of available TunnelBear VPN server locations of 2019 perhaps — well, look no further my friend! Click here for a direct link to the official country list. Seriously — first, “see this link” on tunnelbear.com, and..! Scroll down a bit on that page to where it says “tunnel everywhere“. The extremely easy-to-use, popular VPN provider, with both free and paid plans gives you a warm fuzzy bear feeling when browsing online. At the time of writing, their servers cover 20 countries or so. However, TunnelBear does expand their network frequently (and they even take in suggestions for new country locations to consider). Which is why, I advice checking out the updated list of available VPN servers. Here’s the countries list of 2019 (subject to changes). Are there any other country locations that you would absolutely love to see supported on TunnelBear — please, let us know & leave us a comment below! Also, did you know that you can get a free trial — under this link. And that’s not the free version, but an actual 7-day trial of the VPN’s fully featured paid version of TunnelBear. Pretty neat, isn’t it?! Any questions, or input you want to make is most welcome! Notice worth noting; I put in a lot of work into these posts and one reason is that some of them contain affiliate links. My sincere wish is that it’s a win-win for all, and of course you are not being charged for any extra. This is voluntary, usually in the form of cookies. A big big thank you. David.